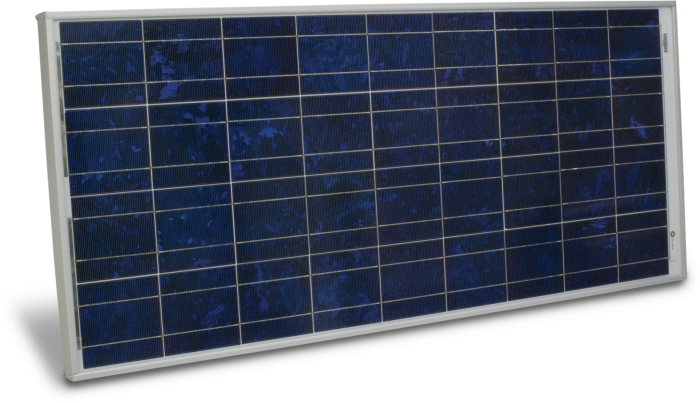 The SP50-L 50 W solar panel is a photovoltaic power source capable of recharging batteries. It is used for our CS110 Electric Field Meter or other systems that require 50 W solar panels. The SP50 allows unattended operation of systems in remote locations, far from ac electrical sources. This solar panel needs to be used with either a 18529 Morningstar SunSaver, CH200, or CH150 regulator. 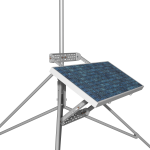 The SP50 includes the 31107 Extended Mounting Kit for attaching the solar panel to a Campbell Scientific tripod or tower. The 31107 positions the solar panel approximately 25 cm (10 in.) from the tripod or tower, which reduces shadows from other components and guy wires. The zenith angle indicator and the slotted supports simplify installation. The 31107 began shipping with the solar panel in October 2014. 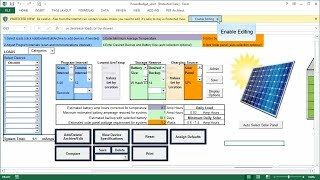 This kit may be purchased separately to retrofit existing solar panels. One SP50 can be connected to the SOLAR charge input of the CH150, CH200 or 18529 SunSaver regulator to provide a peak charge of 50 W. Two SP50 solar panels can be wired in parallel to the charge inputs of the SunSaver 18529 regulator to provide a peak charge of 100 W.
Note: Regulators must be housed in an environmental enclosure. The CH150 and CH200 limit charging current to approximately 3.6 A and can precisely charge these battery families: EnerSys Genesis NP Series (BP12, BP24), EnerSys Cyclone Series, Concorde Sun Xtender Series (BP84, PS84), or a custom battery. The 18529 Morning Star SunSaver limits charging current to approximately 10 A and can charge flooded batteries or sealed rechargable batteries such as our BP12, BP2, BP24, and BP84. Note: Assumes the 31107 Extended Mounting Kit is used to mount the SP50 to an adequately anchored tripod or tower. The SP50-L is compatible with the CH200 or 18529 Morning Star SunSaver. The SP50-L is compatible with EnerSys Genesis NP series (such as PS200, BP12, BP24), EnerSys Cyclone series, Concorde Sun Xtender series (such as BP84), or flooded batteries when used with the 18529 Morning Star SunSaver. The 18529 MorningStar SunSaver draws a continuous 8 mA current drain.